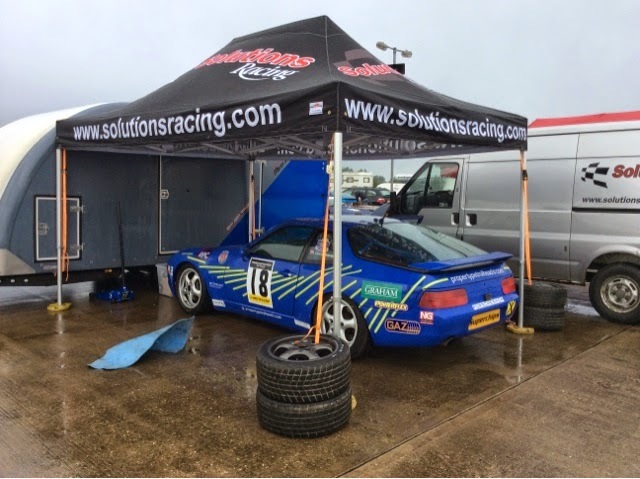 After a full weekend of racing at a cold, showery and damp track at the Silverstone National, in a growing field, still just ten cars, I picked up two more trophies on Saturday with two class third places in each race in the Dunlop Porsche Series, narrowingly missing a second in the last race of the day. Sunday saw a return to the same circuit for the next round of the CSSC Modern Classics with a large field, quali didn't go that well as the track got slippery and I was down 2 seconds a lap from the times the day before, taking Q28 in a varied field of 31 cars. A standing start saw me grab a few places in lap 1 of the 40 minute race and then an epic battle picking off car after car to get me at one stage to P9, only to concede a few places to end a highly credible P13. Its Brands next at the Indy circuit on the 1st of June, the track I started racing on nearly a year ago, then post the summer break for me, Anglesey.